There are some things programs can't do. For this and everything else, there's TTMEM! If you need to align source and target terms/expressions or align two complex text documents in order to create translation memory file and recover perfect matches for your future translation, you are in the right place! TTMEM.com will help you to reuse existing translations by segmenting the source document and the target document, manually matching their segments and producing a .tmx file. It's true - there are many programs able to perform an automatic alignment but none of them is able to guarantee an error-free alignment solution. Traditional, automatic alignment process is a tedious operation as you need to revise the entire alignment document and fix all errors in order to create a translation memory out of the matching segments. That is why our alignment solution is an excellent advantage not only for freelance translators but also for translation agencies/companies. TTMEM.com Staff members will align your documents and transform them into translation memory in .tmx format, ready to be opened in your CAT tool! 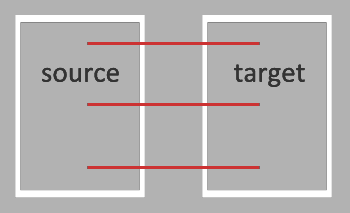 Free, manual document alignment (in total 5000 words for a source document) is one of the advantages of TTMEM.com full membership (80 euro/year) however if you need to align documents containing more words, please Contact us in order to estimate what would be a total cost of the alignment process. PLEASE NOTE: The manual alignment process will be performed only for languages that use the Latin script. While the Internet resources are full of tips and programs able to perform PDF to Word conversion, we guarantee that none of them is able to transform PDF document into a perfect looking Word file. Some of them use an advanced technology of OCR conversion but unfortunately are not able to deal with scanned PDF files, transforming your document into a terribly bad-looking word file full of errors and unreadable characters. 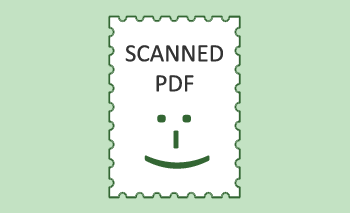 • Manual conversion of your scanned/bad quality PDF files, resulting in a perfect looking Word file, free of custom fonts, bad characters and text boxes, ready to be imported into CAT tool of your choice. • Manual conversion of all document components such as sections, subsections, figures and complex tables and images. • Restoration of the original look of your document by transforming it into 100% editable document. Why waste your precious time for PDF conversion. Outsource this task to TTMEM! We do the conversion, you translate! Free, manual scanned PDF conversion (in total 5000 words) is one of the advantages of TTMEM.com full membership (80 euro/year) however, if you need to convert documents containing more words, please Contact us in order to estimate what would be a total cost of the conversion process. PLEASE NOTE: The manual PDF conversion process will be performed only for languages that use the Latin script.